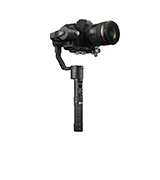 Crane is primarily designed for mirrorless cameras, such as the Sony a7S and Panasonic GH4, ideal for low-cost individual filming applications, from micro films, wedding videos to travel films, and so on. 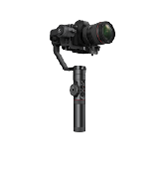 Supporting 360° unlimited rotation along the 3 axes with perfect stabilizing performance, it empowers you to shoot steady and smooth streams EASILY and ALONE with all imaginable angles of view, while realizing the perfection that was once only possible by a whole camera crew. 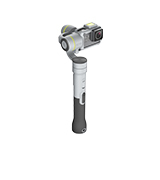 Featuring optimized Bluetooth connection, CRANE allows remote camera attitude control and mode switch for easier and more flexible operations thru a specialized palm-size remote control or mobile APP. 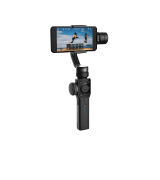 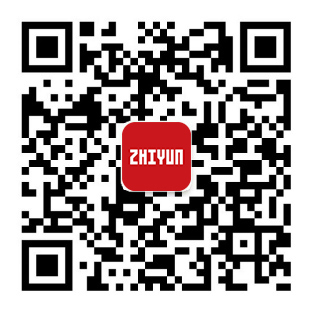 Well-tuned by ZHIYUN&apos;s self-innovated Instune Algorithm and empowered by optimized high-torque motor control technology, Crane responses to intense motions or even sudden twists in real-time with precise and smooth compensation while making ZERO noises with lower power consumption. 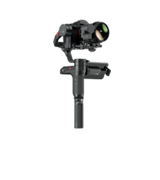 Its extraordinary steadiness eliminates subtle shakes even when zoomed in x5 in display. 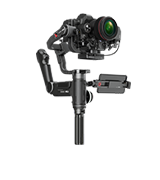 Integrated with the pioneering 32-bit x 3 high-speed MCU parallel control technology which realizes a synchronous processing speed up to 4000Hz on its independent built-in IMU, Crane helps create the most impressive shots with its incomparable motion sensitivity and precision control.